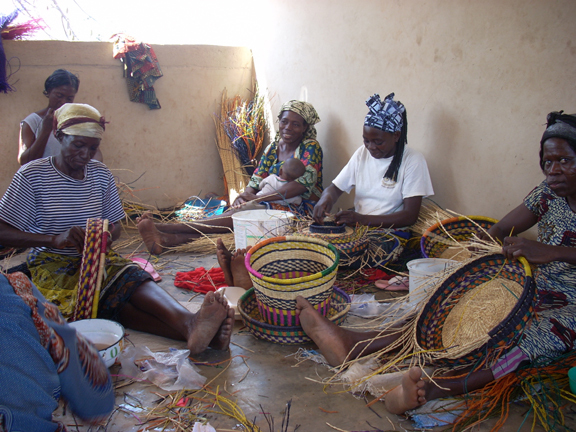 As a consultant for SERRV, I worked with basketmakers in both Ghana and Uganda. SERRV International is a nonprofit organization that promotes social and economic progress by marketing handcrafts in a fair and just manner. ​They said it was their chilly season. I would have called it just plain hot. ​​My work in Bolgatanga was with the master basketmakers of the villages surrounding Bolga, and the staff of Trade Aid, a Ghanaian trade and development organization. Jonah was the quality control person, my translator, and a very wonderful young man. The basket weavers, 28 women and two men, were patient, hard working, generous, and wonderful. They twined their baskets of twisted straws, sitting on the ground, laughing and chatting in FraFra. We spent a day dyeing the grasses, using plastic water bottles to measure the water and the bottle caps to measure the powdered dyes. We created dye “recipes” for each weaver, with images rather than words. 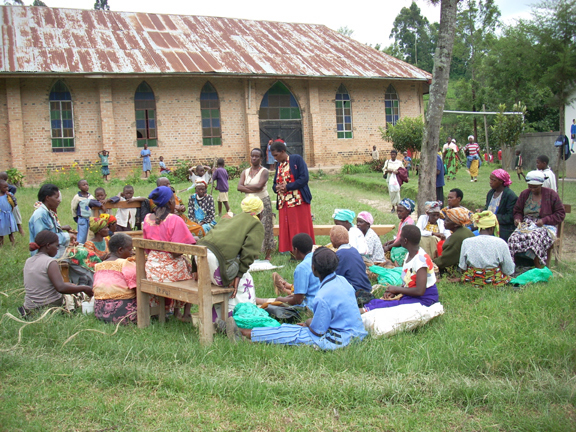 The women walked 30 minutes each way to get the water we needed, carrying it in tubs on their heads. We spoke of the need for consistency, and the importance of completing promised orders. ​​Many baskets were completed during the week. We ended with a dance party, much laughter, and American balloons. ​We left Bolgatanga early in the morning for the two-hour drive to Tamale. The once-daily airplane leaves Accra at 6 a.m., unloads and re-loads passengers at Tamale, and returns to Accra at 8 a.m. We arrived at the Tamale airport at 7a.m., and waited patiently for the ticket agent/manger to appear. It soon became clear that he was NOT going to appear. Four of us stood there with reservations, receipts, and reserved seats, all of us making connections in Accra. No amount of arguing or pleading in any language seemed to make much difference in making the agent appear to give us boarding passes. The security guards would not let us check our luggage or board the plane --- and you certainly don't mess with them; they have guns! ​Off to the side of this very small airport were two nuns, probably European. They were watching this melee, and one of them quietly came up to me and said I should demand a military plane – she had seen it happen before. Armed with this knowledge, my mobile phone, and the mobile number of the head manager of the airline in Accra, I entered the fray. Two hours later, after many phone calls and much talk, we boarded a Ghana Air Force plane, along with several other passengers, two goats, and a box of chickens. We all made our connections! Here they said it would be chilly and they were right! We had a beer each evening in front of a roaring fire. I traveled with Pamela and Rose, from NAWOU (National Association of Women Organisations of Uganda), Phoebe, our local contact and hostess, and Hajji, our wonderful driver. We traveled many kilometers through stunning countryside. The hillsides were green and lush, filled with fruit and banana trees, covered with flowers. Winston Churchill referred to Uganda as the Pearl of Africa; he was right. The area is mostly subsistence living. There is enough land to grow fruits and vegetables, and to raise animals, but usually not enough money for education or health services. Our goal was to identify and work with the women basketmakers, to train them to create the baskets that could be sold at fair and just prices to SERRV. ​Daily, we traveled to far off villages. We met the women and talked of the importance of consistency and quality. We had a pattern-making party, hosted by a local Peace Corp volunteer, Maria Meehan. We shared these patterns with the basketmakers, explaining their use for standardization of sizes. 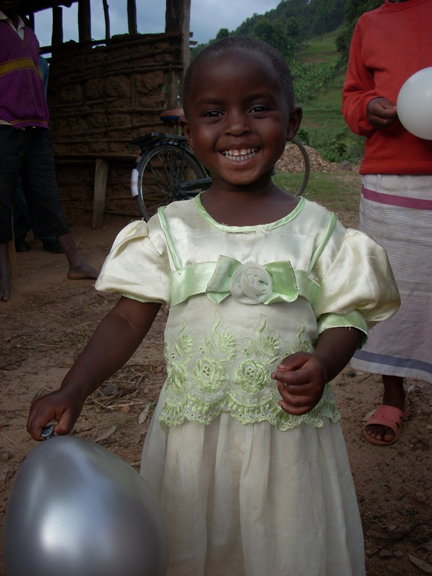 We had dances and songs, and lots of smiles. 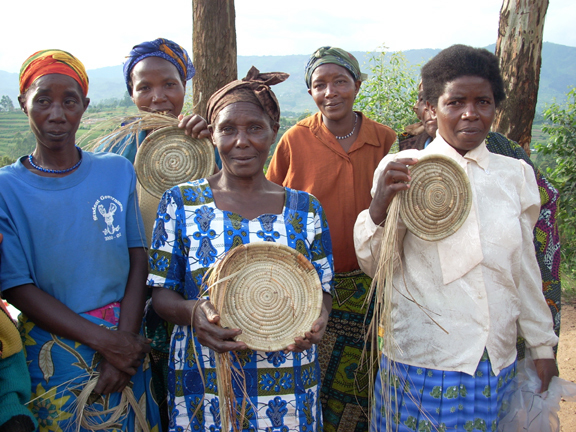 This trip was a basketmaker’s dream – to see these wonderful baskets and to meet with these welcoming women. I would never have thought I would say it was a pleasure to be crammed into the back seat of a small Toyota with two other women, but it certainly was!